I’ve been in the mood for some cute nail art lately, and after creating this super cute gradient I wanted to some some simple but cute nail art over it. I used two polishes from the OPI Hello Kitty collection, and omg these Hello Kitty bottles are soooo cute! Over the gradient I went with my favorite animal, two cute owls 🙂 This is my OPI Hello Kitty Gradient with Owl Nail Art. 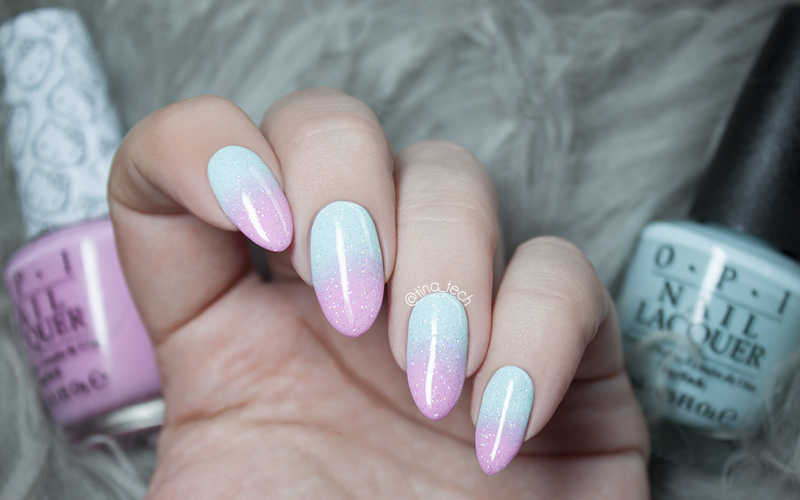 This gradient reminds me so much candy and I got cravings just looking at them! Whenever I’m in doubt I always do owls, I think they’re so stinking cute! I would love to see a guinea pig mani from you, I love all of your animal manis! ? He, he, we had almost the same inspiration, I have an owl mani too on the blog. 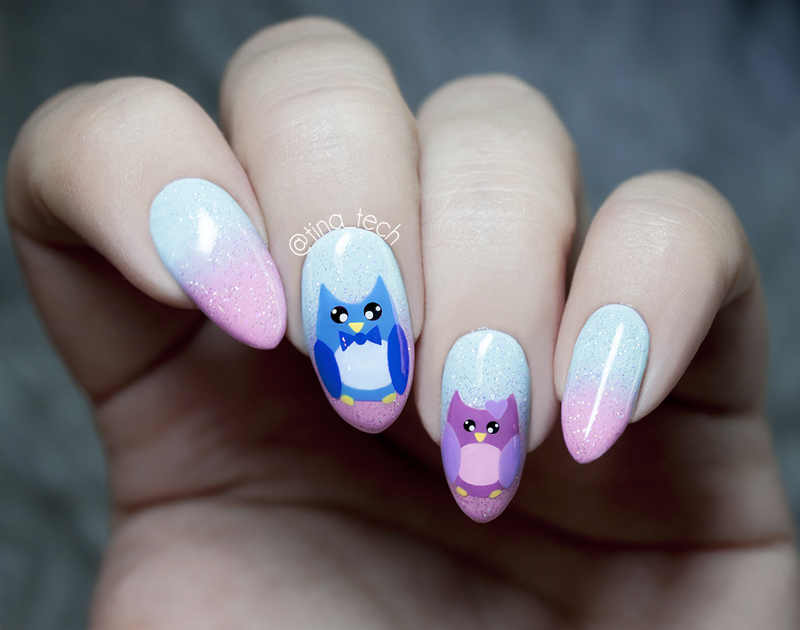 Love the gradient you made and the owls are super cute!